There is a romantic narrative about grand old estates. The dramatic, the eclectic, and the traditional frequently collide and coalesce into something seamless and comfortable as time passes. It often brings to mind palatial residences of both colonial and continental setting, where distinguished columns and lofted ceilings are tempered by coastal touches or lush greenery. 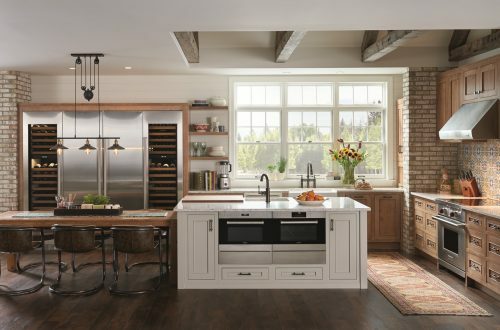 Designed and built by Lowell Custom Homes in Lake Geneva, Wisconsin, the Lakeside Conservatory home is meant to capture its homeowners’ lifestyle and appreciation for timeless design. 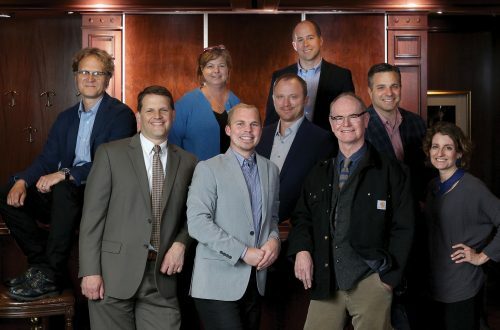 Established in 1981 and founded on a philosophy of personalized detail and craftsmanship, Lowell Custom Homes is an award-winning firm providing design, custom build, and remodel services to clients primarily in the Walworth County region in Southeast Wisconsin. It is a custom home builder with a team of project management and office professionals and a full-time, in-house architect—American Institute of Architects, or AIA, licensed—and led by a founder with a passion and vision placing people, process, and personal design as equally important. “Design is a very personal thing. Our houses can’t look the same; it has to be for that particular owner. We have certain trademark things we do that are mostly hidden in the infrastructure of the house. 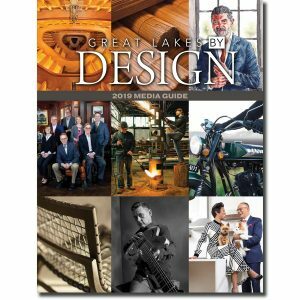 I’m an old New England boy, so when [clients] walk in our homes, I want them to think how solid it is, like a home built 100 years ago,” Lowell said. In the case of this Lake Geneva home, the clients approached the company based on referral with a concept for creating a lakefront home that felt well-established—as if built at the turn-of-the-century—but had a hint of an updated edge with white cabinetry, butcher block, and other details. 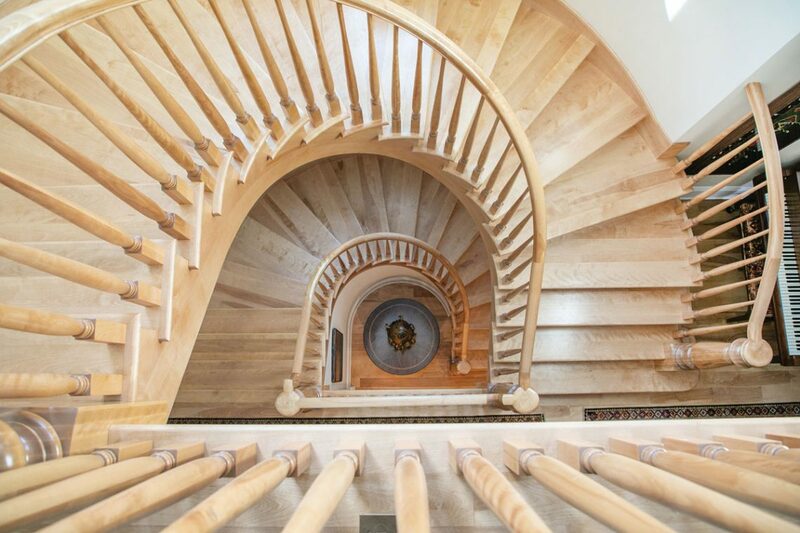 The home is made distinctive with its rounded stairway and turret, conservatory and inspired ceiling office, elevator and wine cellar, as well as its teak bunkroom and children’s mural underneath the stairs; and from a build standpoint, its site played a role too. 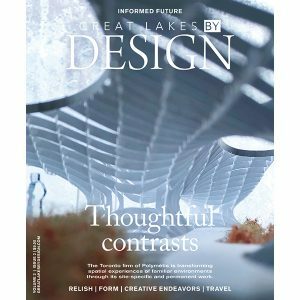 Full text available in our print edition, Great Lakes By Design, Volume 3, Issue 2: Informed Future. 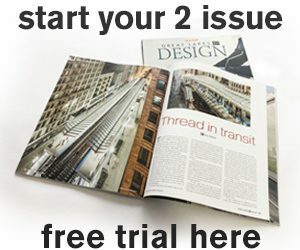 Start your subscription now.